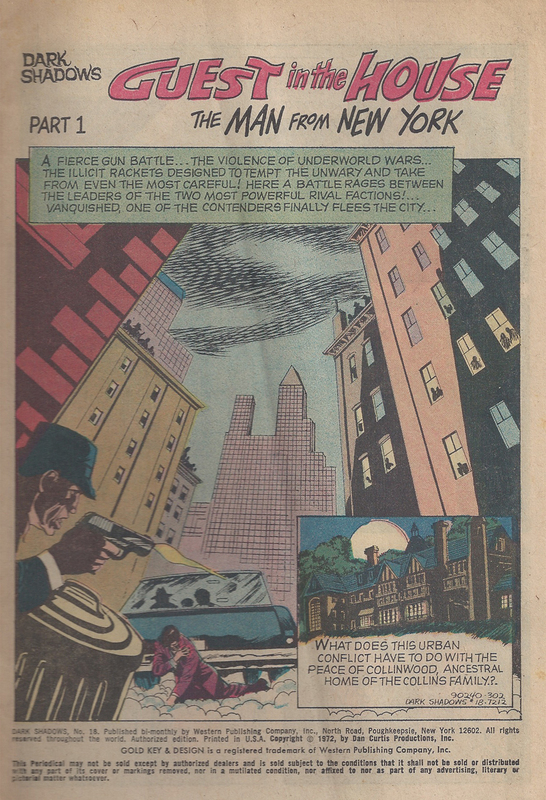 Gangsters on the run from turf wars in New York City infiltrate Collinwood in an attempt to establish a new front for their criminal activity. 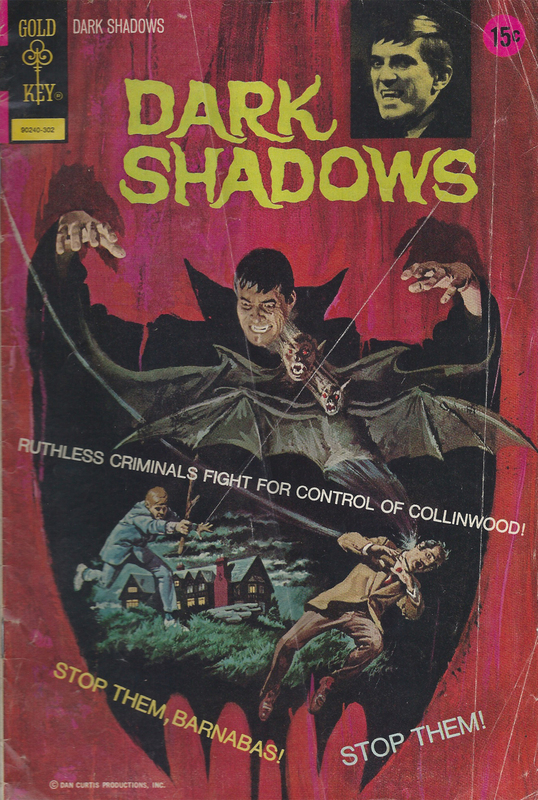 The flimsy premise potentially would have resulted in the shortest solution of the series—if not for the sticky question of Barnabas Collins’ morality. Underworld kingpin Erik Mica, assuming the guise of a real estate agent named Erik Michaels, insinuates himself into the good graces of Elizabeth Collins. 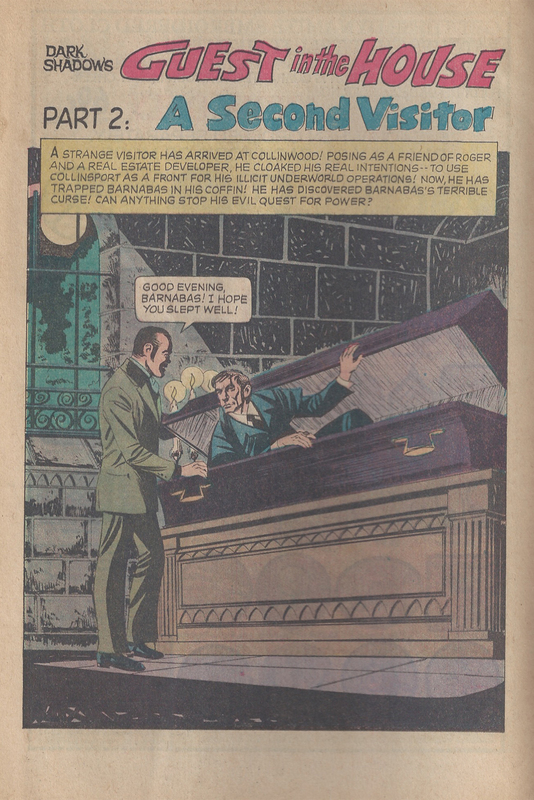 While maneuvering to take over Collinwood, he senses something unusual about Barnabas Collins. 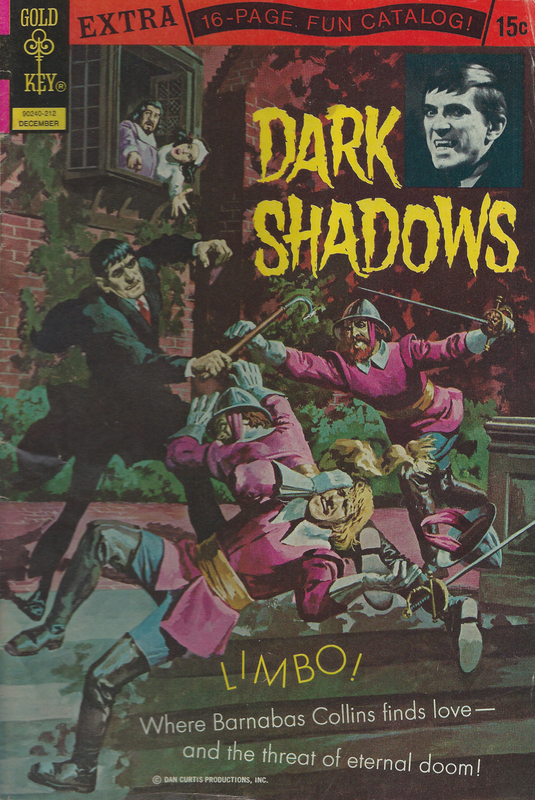 Exhibiting a mental acuity belied by his uninspired choice of an alias, Michaels quickly pieces together the scant evidence and deduces that Barnabas is a vampire. 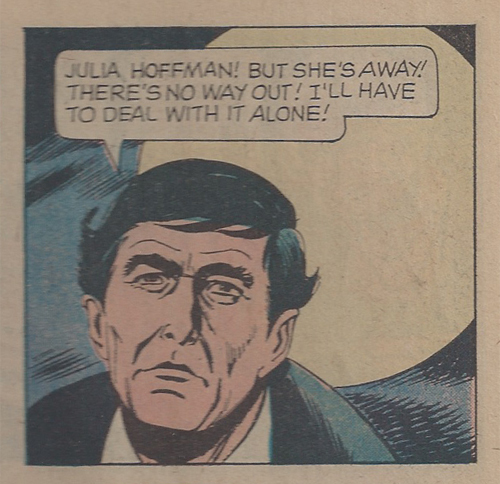 Prior to this sudden conclusion, Barnabas inexplicably withholds evidence of Michaels’ true identity from Elizabeth. This lack of forthrightness is puzzling, since the revelation would have caused the entire criminal scheme to collapse. 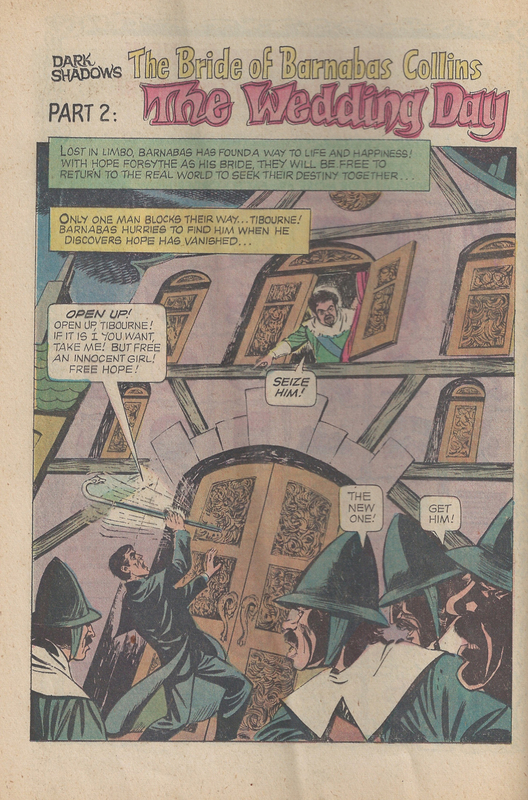 Barnabas grapples with his own sense of morality throughout the issue, although this particular crisis at Collinwood offers a sublimely simple solution—kill Michaels. What would Julia Hoffman do? Sisters Mary Katherine and Constance Blackwood, along with their invalid uncle Julian, live alone in the isolated Blackwood family estate. Ostracized by the local community, Mary Katherine only ventures into town twice a week for groceries, while her sister has withdrawn completely into the interior of the great house. The three are the only survivors of a notorious unsolved multiple murder, a poisoning that, six years earlier, claimed the lives of Mary Katherine and Constance’s mother, father, aunt, and younger brother. The details of the fateful day are not immediately forthcoming, as the daily routine at the Blackwood house takes shape. 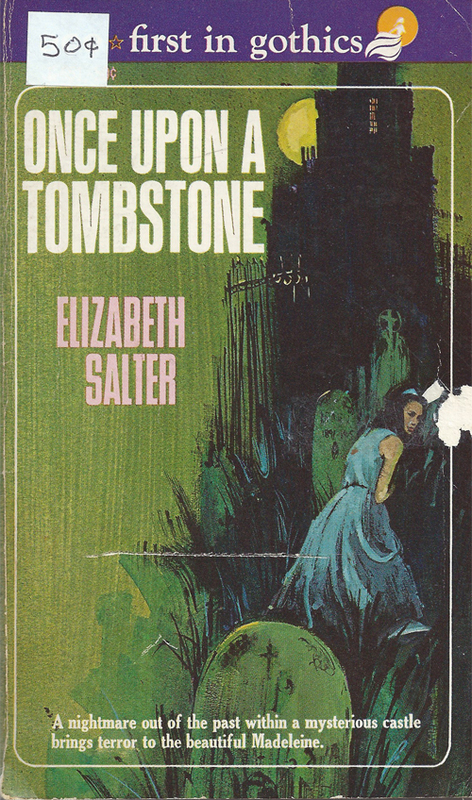 Mary Katherine exhibits a penchant for burying small tokens around the grounds of the estate, talismans to ward off bad luck, while her sister only leaves the house to tend to her vegetable garden. The only tenuous connection to life in the town is Helen Clarke, a self-purported friend of the family who visits for tea on Tuesdays. The full realization of the community’s hostile attitude toward the Blackwood sisters comes home during the polite artifice of one of these visits. Uncle Julian, confined to a wheelchair and suffering mental confusion after surviving the arsenic poisoning at the family dinner, bluntly addresses Mrs. Wright, a quizzical old woman brought along by Mrs. Clarke, “My niece, after all, was acquitted of murder. There could be no possible danger in visiting here now.” While Mrs. Clarke’s tea and rum cake sit untouched, Julian recounts how Constance prepared the fatal meal with ingredients from her garden—and proceeded to immediately wash out the sugar bowl after serving. 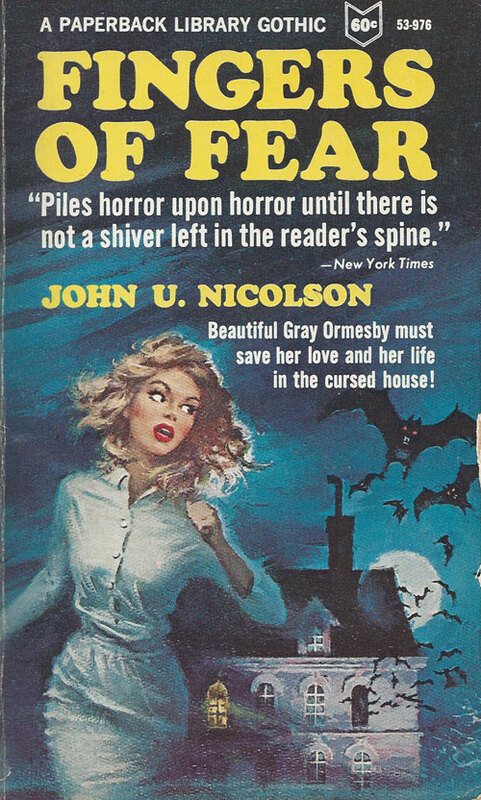 The tea party is not, however, the greatest intrusion into the hermetically sealed world of the Blackwood sisters. The unexpected arrival of their cousin Charles, who shows great interest in the value of their possessions—and the contents of the safe in the family study—disrupts the internal workings of the house. Pressing Constance to forget her dark past, shake off her reclusive social withdrawal, and re-engage with the outside world, Charles threatens to destroy the fabric of life at Blackwood house. 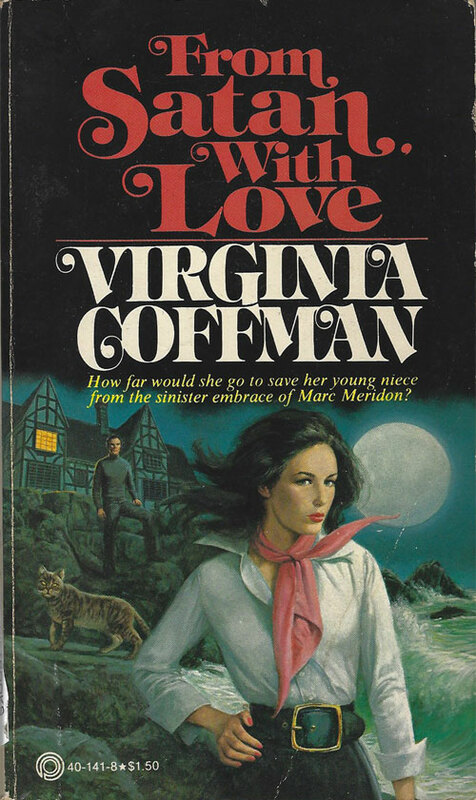 His growing animosity towards Mary Katherine–who lashes out with childish acts of destruction aimed at his growing influence–along with the burgeoning resentment of the townspeople, eventually lead towards a devastating, inevitable climax. Merricat displays a brilliant insistence upon rituals, safe words, and place in the family lore, but nearly all that is important is left unspoken. Only uncle Julian, barely competent in his current state, comments on the details of the murders, collecting a rambling written rumination on the circumstances and existing evidence in a shamble of loose papers. Much later, Constance delivers a dramatic shock when she finally voices a simple truth about the crime. 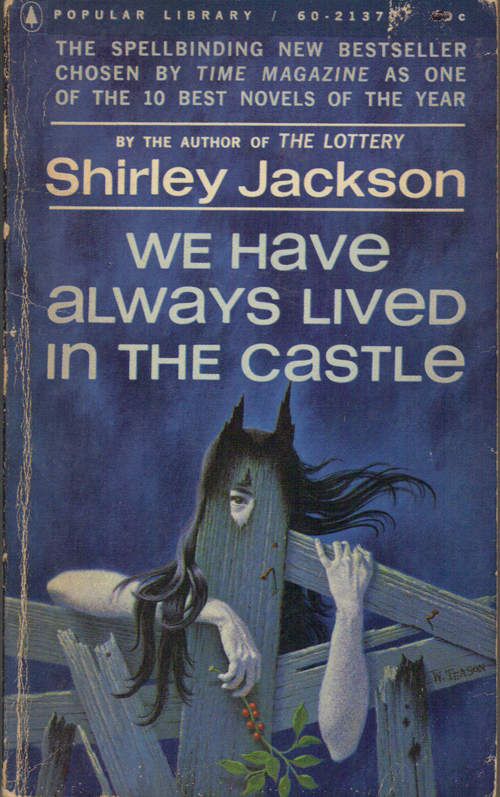 We Have Always Lived in the Castle, while arguably less well known than The Haunting of Hill House, is less an outright mystery or horror, but rather a compelling, melancholic character study of a blighted house and its occupants. Responding to a peculiar want ad, recently widowed young mother, Pandora Perdita Von Wald, accepts a position in Paradise, an isolated closely-knit community of wealthy eccentrics in a remote valley above Los Angeles. Berdine and Lyle Gemini, the mystically-inclined proprietors of an occult shop, offer to give her Ohplodu, a miniature Gothic castle built by Berdine’s late brother, Horace, a well-known artist and medieval scholar. In exchange, Pandora agrees to conduct research on Horace’s life and untimely death—but the Geminis may also have another agenda at work. At Berdine’s suggestion, Pandora joins a small discussion group composed of the women of Paradise, who gather together to share their experiences and discuss issues relating to the liberation movement. The gatherings soon take a dark turn, however, as details of abuse and oppression surface. Cherry Delight, backwoods child bride of down-at-heel country singer, Clyde Boon, is first to describe her dysfunctional marriage, based on abuse and acknowledged philandering. Later, a seemingly drunken Clyde turns up at Pandora’s door, leering and making clumsy advances–before suddenly dying of mysterious causes. Other meetings follow the same fatal pattern, as the derided husbands or lovers discussed by the group come to mysterious fates following the weekly gatherings. When poison is determined to be the common cause-of-death, news leaks of a purported “feminist killer” at large in Paradise. Adding to the potential victim count, Berdine reveals her suspicion that Horace was also murdered. In this atmosphere of danger and gender unease, Pandora somehow finds herself romantically attracted to Blake Nevius, dashing psychiatrist and not-so-secret lover of Carlotta Monroe, the regal major landowner in Paradise. 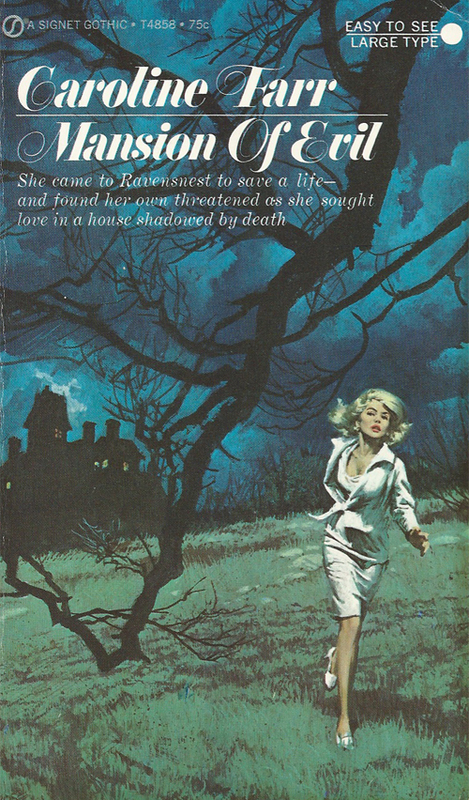 Ultimately, Pandora must find the link between Horace and the current murders, and may also need to face her own dark secret relating to the suspicious nature of her husband’s death. 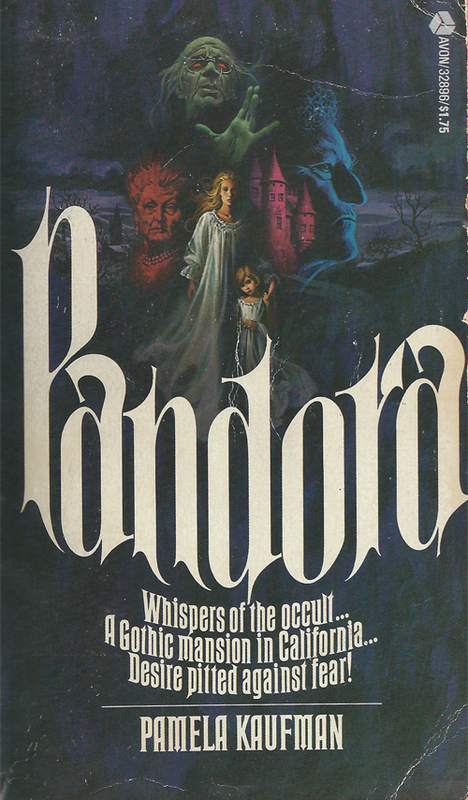 Pandora stews a heady, seventies-California Gothic mix of strange portraits, secret passages, covert agendas, numerology, ravens quoting Poe, and household help who are not-what-they-appear together into murder mystery framework. However, the yin and yang of male/female relationships lies at its core, with impotent men and their wildly unfulfilled partners leading to a denouement reducing the motivations to a swirling mother-surrogate, mother-destroyer psychobabble. 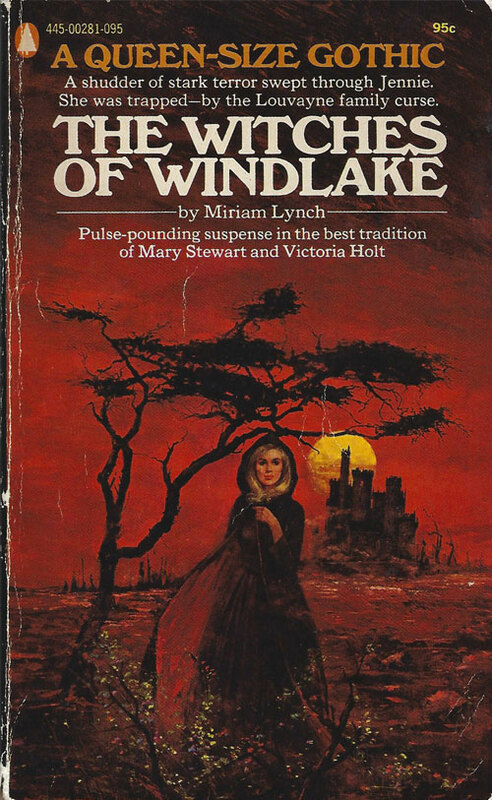 Pandora struggles to expose the murderer as wildfires blaze down the Southern California landscape—littered with Thrifty drugstores, feminist retreats, and homemade religious cults—in a depicted time and place that perhaps never-was, but will certainly never be again. 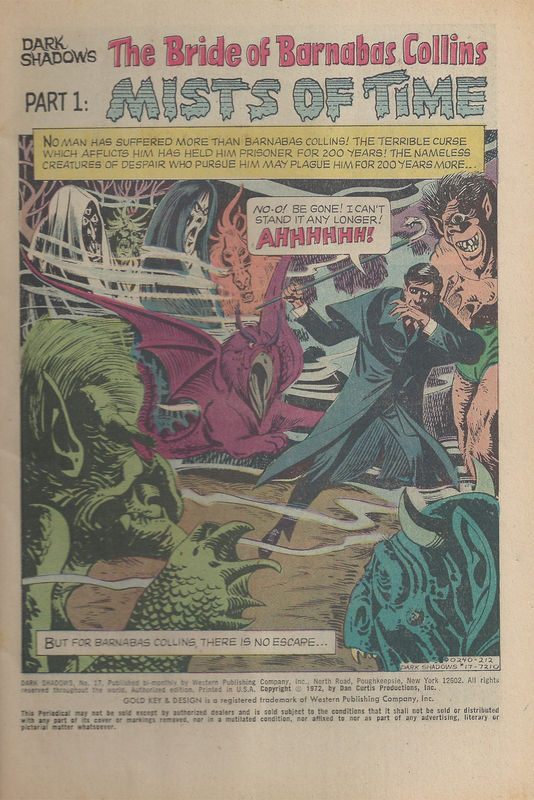 After a momentary self-searching existential crisis regarding the nature of his curse, Barnabas Collins inadvertently wanders through the “fogs of time” into Limbo, a place trapped in the perpetual present beyond the reaches of time. He meets Hope Forsythe, another traveler stuck in this atemporal world, and within a few panels, WHAM-BAM-THANK-YOU-MA’AM they are declaring eternal love for each other! The few other characters Barnabas encounters seem to have wandered into Limbo from a discounted rate Renaissance Faire. But Hope has another predicament beyond being stranded in this world, as a following exposition dump of arbitrary rules details. Her brother, Ward, has been captured and held hostage by Tibourne, the strongman who rules over Limbo. Tibourne, an evil man who is eternally trapped in Limbo, can only hope to escape his purgatory prison by marrying someone who still retains the ability to freely travel back to their own time—namely Hope. Unless she complies, Ward will be killed. 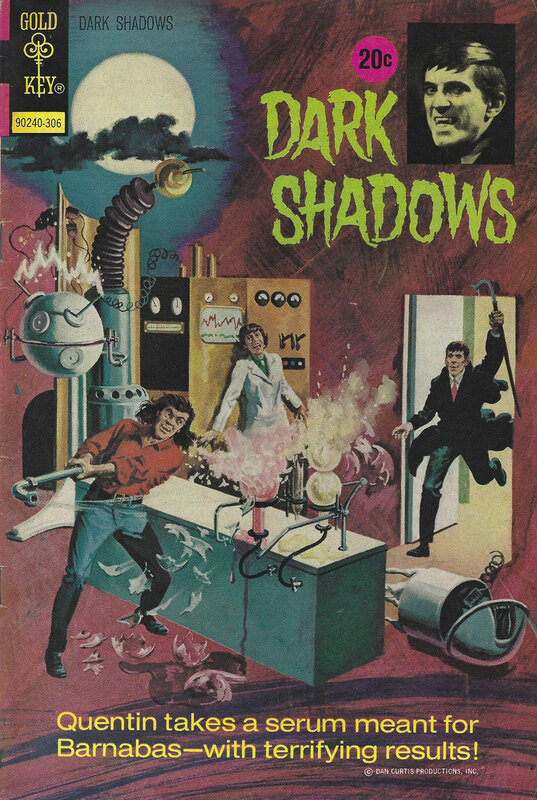 Delicately dancing around the ultimate “Oh, by the way, I’m a vampire” confessional, Barnabas learns that Hope may have a dark secret of her own. Hope disappears, pointy-hatted guards capture Barnabas, Ward somehow escapes on his own (rendering the whole affair rather pointless), and many fistfights ensue. For a more accurate assessment, simply replace “fog” with “horseshit”.